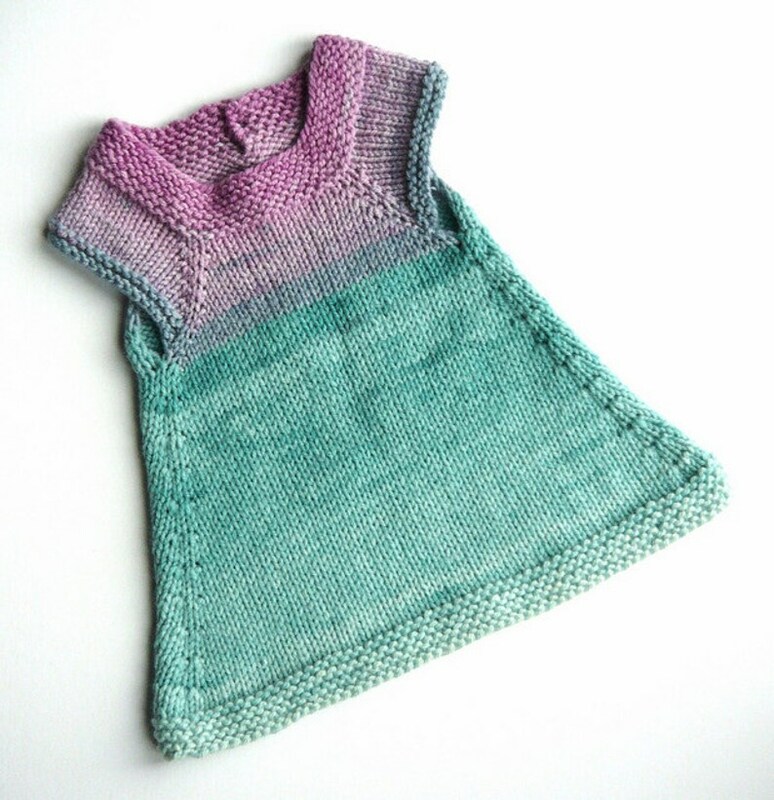 This listing is for a custom Versa, which can be created as a vest, a tunic or one of two dress styles, knitted to order in your choice of size and colour, using hand dyed yarn (unless otherwise agreed between us). Each item will be one of a kind and I will work with you through private messages to choose colours and will knit to measurements you provide. Those pictured are examples of past custom items and cannot be recreated in most cases, as I only keep a limited amount of each yarn colourway. 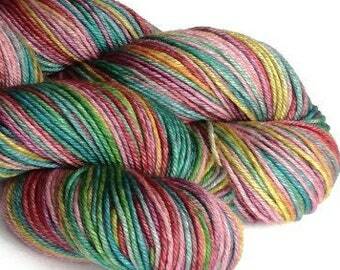 Although I am happy to dye yarn to suit, I will not copy another dyer's colourways. There are 4 options for this pattern - vest and tunic are priced as 'vest', standard dress and babydoll dress are priced as 'dress' in the drop down options. Pictures 1 and 2 are examples of a standard dresses, the tunic is a shorter version of this and the vest shorter still. Picture 3 is a babydoll dress. Picture 4 shows the button fastening at the back. Picture 5 is a tunic. The Versa pattern is knitted with permission to sell, from the designer, Shannon Passmore.